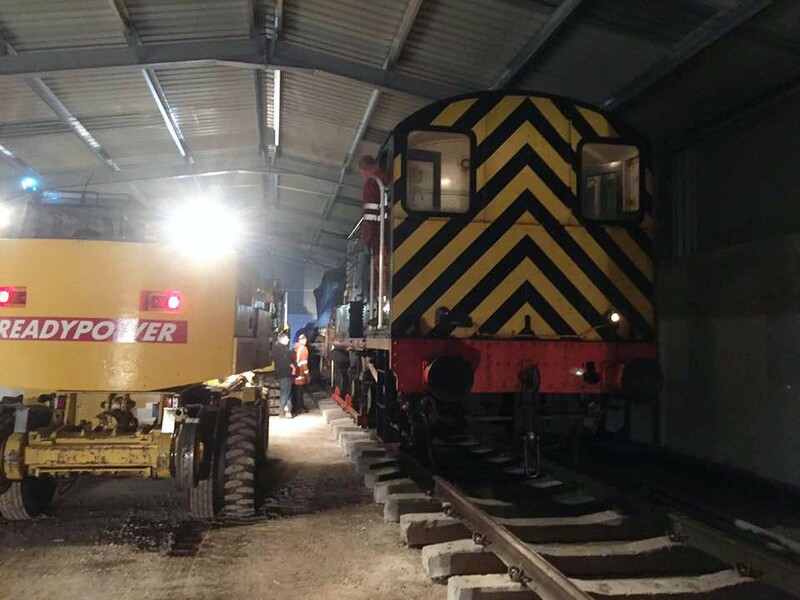 Great news – After 2 years of planning, design, fund raising and construction, we now have a loco under cover in our own dedicated shed. The A1A Locomotives shed at the Midland Railway Centre is now connected and 31418 has taken the rails into No.2 Road. Fantastic work from all concerned, we’re now hoping get the other road completed in 3 weeks time.